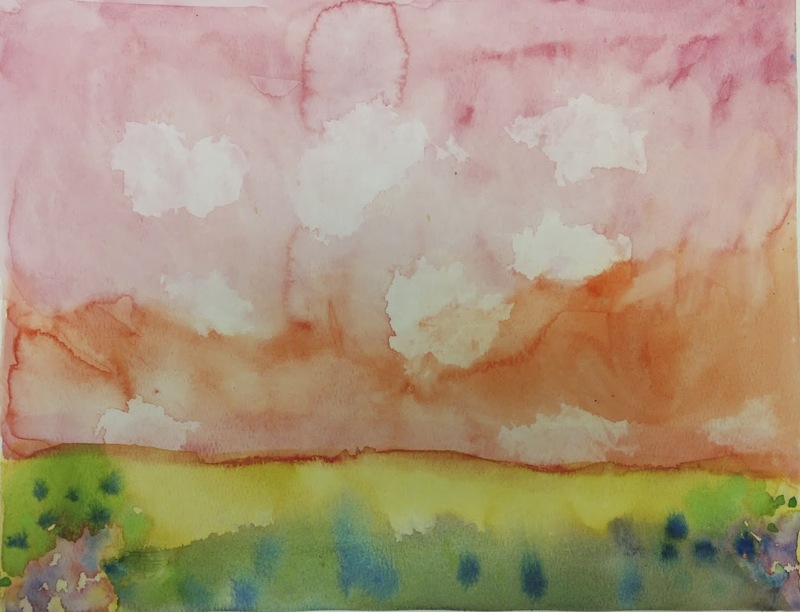 Residency at Meyonohk: watercolour sky and meadow with grade 1s. 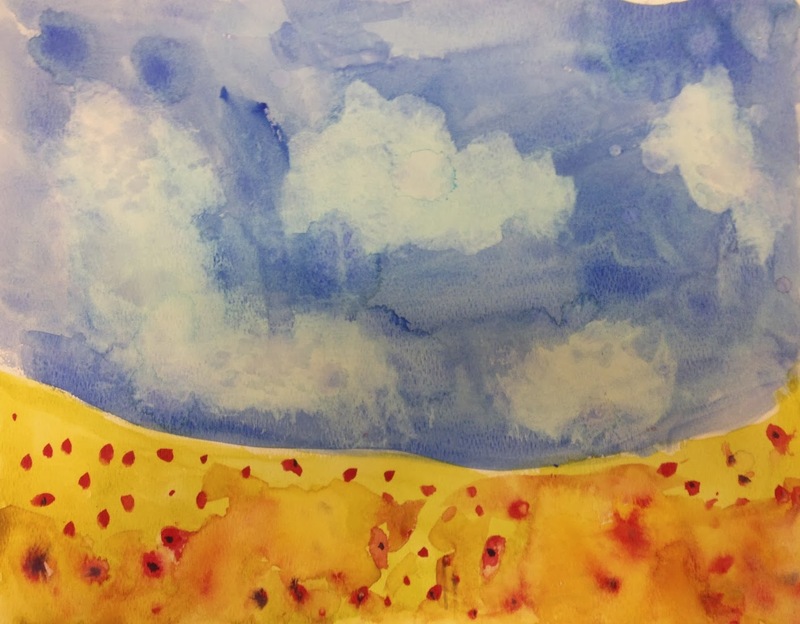 Learned lots of great techniques: lifting off clouds and blending "best friend" colours to create a flower filled meadow. I always ask do sky's have to be blue? Yes, most of them nod. Can't they be red or purple or yellow or green? I ask. Then they think again, yes, they say, they can!